Police are still searching Monday for 18-year-old Tafahree Maynard, who’s accused of killing Toney. A second suspect is in custody, accused of pointing a gun at an officer during a chase after the shooting. 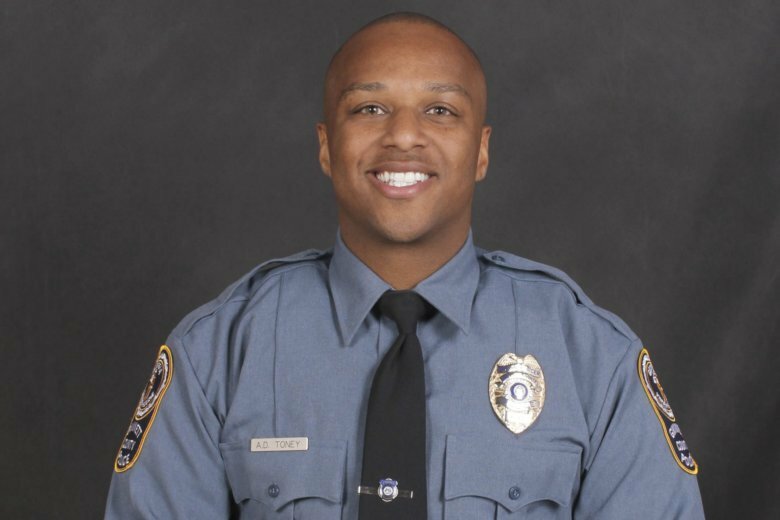 Police in the suburb of Gwinnett County said Sunday they believe 18-year-old Tafahree Maynard fatally shot Officer Antwan Toney a day earlier when he checked on a suspicious vehicle near a school in the Snellville area. Maynard remained at large early Monday and police say he’s considered armed and dangerous. He faces charges of aggravated assault and felony murder. Police said Maynard wasn’t found by a SWAT team in a house search Sunday evening. Authorities say a second suspect is in custody, charged with aggravated assault for allegedly pointing a firearm at an officer during the pursuit after Toney’s shooting.